The shortage of financial capital is pushing Russian companies to establish new tech businesses and look for global investors. This week the Russian Post announced the plans to create an online marketplace, while vKontakte is trying to improve its image in the international market. 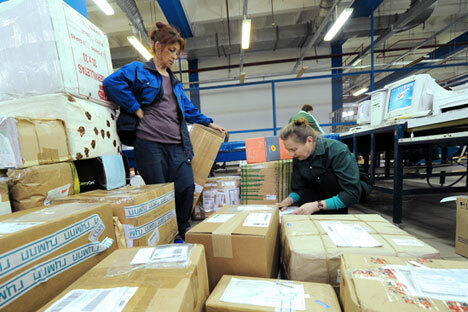 The Russian Post is aiming to create an online marketplace to compete with eBay and Amazon. By entering the Russian Internet market with an estimated volume of 700 billion rubles ($15 billion), the company is hoping to compensate for falling profits from the traditional postal business. A new web site, 2015.russianpost.ru, where customers can order electronics, household goods and cosmetics, was launched in the beginning of November 2014. According to Kommersant,the new business will operate on commission. The Internet commerce technologies will be developed with the support of Biglion, a Russian competitor of Groupon.ru. Biglion will cover all costs including design and software development. Oleg Savtsov, Biglion’s founder, believes the project will help his company attract new customers in remote areas. Russian Post is viewed as a strong competitor, but it has been widely criticized in Russia for delays in delivering mail and packages. However, the postal operator could face tough competition in the Russian market as eBay is strengthening its market position with the help of the Russian Qiwi payment service. Until recently Russians had demonstrated a minimal interest in using PayPal, which can be explained by the low level of trust that Russian buyers have regarding online payments. According to Data Insight, in 2013 almost 70 percent of purchases in Russia, taking into consideration those completed through the Internet, were made in cash. Money can be added to the electronic Qiwi wallet with actual bills and coins, which is why the Visa Qiwi Wallet, says eBay, is just as convenient and trustworthy for customers to use as cash. This week, Russia’s leading social network vKontakte (VK) appealed to the U.S. Trade Representative (USTR), appealing to not be included in a list of piracy havens. The social network, frequently referred to as the “Russian Facebook,” is planning to enter the international capital market and a bad image could be a turn off for global investors. In a letter to the USTR, VK Director Dmitry Sergeev acknowledged that the social network has a history of being used for the piracy of media files. However, in recent years, “especially in 2013 and 2014, VK took numerous steps to address copyright holders’ concerns,” Sergeev said. “A very large amount of VK’s content is uploaded absolutely legitimately. For instance, many famous musicians, singers, authors and other IP owners enthusiastically use VK.com for their own purposes of promotion.” Sergeev listed several examples of popular artists that have official profiles, including Shakira, Moby, Coldplay and Arctic Monkeys. At the end of October 2014, the Motion Picture Association of America (MPAA), which represents six major Hollywood studios, consulted with the U.S. Government regarding privacy issues. It presented a list of two dozen websites that promote piracy – the list included VK – the organization would like removed from the web. Later this year the USTR will use the submissions of the MPAA and other parties to make the final list of websites promoting the illegal distribution of movies and television shows. Sergeev says that VK can’t control all information that is uploaded to the site, as the company does not have “the technical capability to pre-moderate, filter, or otherwise prevent the uploading of works due to the enormous volume of information.” The social network says that it is currently negotiating licensing deals with Sony/ATV, Warner Chappell, Music Publishing Group and others.